Freshpints.com: McMenamins introduces its Inaugural Anderson Summer School Brewfest in Bothell, Wash. on Saturday, July 29. 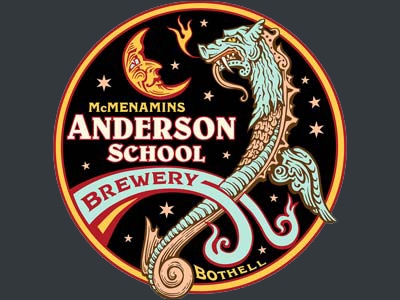 McMenamins introduces its Inaugural Anderson Summer School Brewfest in Bothell, Wash. on Saturday, July 29. Guests of the first annual festival will be able to sample more than 50 handcrafted beers and ciders from more than 25 guest breweries across the Pacific Northwest (including 7 McMenamins breweries) while roaming the quad and halls of the former junior high school turned destination hotel. Musical acts – Bigfoot Mojo, The Talbott Brothers and Ragged Union – will pump out the jams from 1-10 p.m. When: Saturday, July 29 from noon – 10 p.m.